DMA, Peabody Conservatory of Music; MM, BM, Indiana University; student of Ellen Mack, Edward Auer, Michelle Block; master classes with John Browning, Gyorge Sebok, Gilbert Kalish; soloist with Washington Chamber Symphony at the Kennedy Center for the Performing Arts and the Peabody Symphony Orchestra; performances in the Peabody's Best series, the Dame Myra Hess Memorial concert series, Music in the Loft series, and the Chicago Symphony Chamber Music series; participant of Steans Institute at the Ravinia Festival; winner of Grace Welsh Competition, Society of American Musicians Competition, Harrison L. Winter Competition, Baltimore Music Club Competition; performances broadcast on WJHU radio-Baltimore and WFMT radio-Chicago. Abraham Stokman was born in Tel Aviv, Israel, where he began his piano studies at the age of six. He came to the United States at the age of 12, when he was offered a scholarship from the Julliard School in New York City, where he obtained his bachelor's and master's degree with his teacher, Edward Steuermann. For five years, he served as a vocal coach at the Juilliard's opera department. Then in the ensuing years, he proceeded to give solo and chamber concerts at the United States and Canada. In 1969, he moved to Chicago and became the artist-in-residence and assistant professor at the Chicago Musical College of Roosevelt University for six years, and subsequently served as chairman of the piano department at the American Conservatory of Music in Chicago. . . . .
Also visit the DePaul University Faculty webpage for more information. Joyce Noh, a member of CSO since 1979, started playing the violin when she was five years old and went on to win numerous competitions throughout her native Seoul Korea. She was discovered by renowned writer Pearl S. Buck, who invited the violinist to the United States in 1968 to further her studies at the New School of Music in Philadelphia with Jascha Brodsky, at the Juilliard School with Ivan Galamian, and chamber music studies with Felix Galimir and Robert Mann. 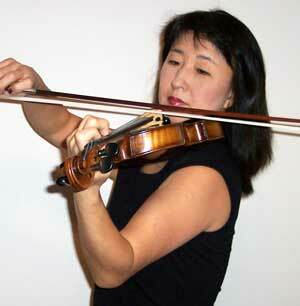 She joined the Baltimore Symphony in 1977 and the Chicago Symphony in 1979. In addition to television and radio broadcasts, she has appeared as a soloist with Seoul National Orchestra and given recitals in many American cities, including New York, Philadelphia, Chicago and Boston. She is also active as a dedicated educator, teaching young students and performing at various schools throughout Chicago area. 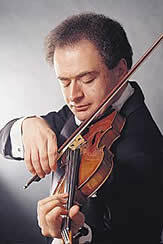 "Rami Solomonow is a graduate of the Rubin Academy of Music in Tel-Aviv, Israel, where he studied with Oedoen Partos. 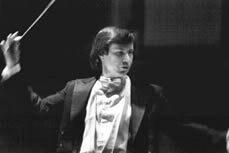 He was a member of the Israel Chamber Orchestra until 1972 and received prizes in chamber music from the American-Israel Foundation. Mr. Solomonow moved to the U.S. in 1973 where he studied with Shmuel Ashkenasi and served as principal violist for the Lyric Opera of Chicago from 1974 to 1995. In 1995 Mr. Solomonow became the violist of the Chicago String Quartet, the resident quartet of The Chicago Chamber Musicians and Taos Music Festival. Click here to read Korea Times Daily November 16, 2004 News article on Sejong Music Competition Judges.